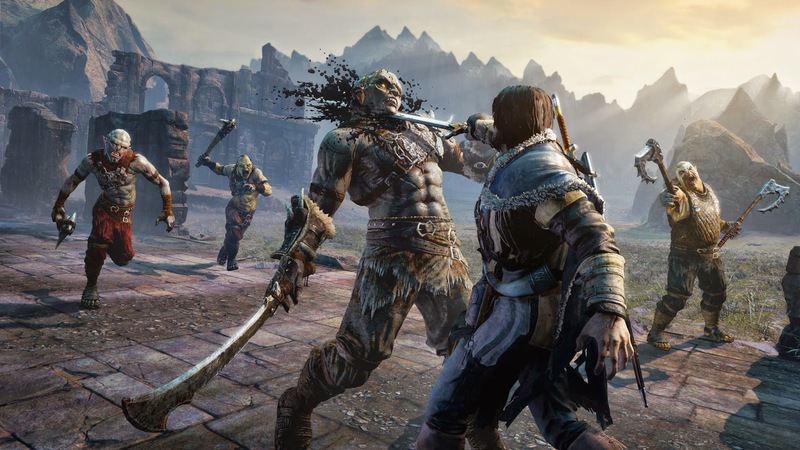 I spent the better part of an hour with Monolith and Warner Bros. Games Shadow of Mordor at PAX. During that time I was allowed to acquaint myself with many of the interesting systems at play in the latest Lord of The Rings based title. Its open world approach, varied enemies and fascinating Nemesis System took me by surprise. 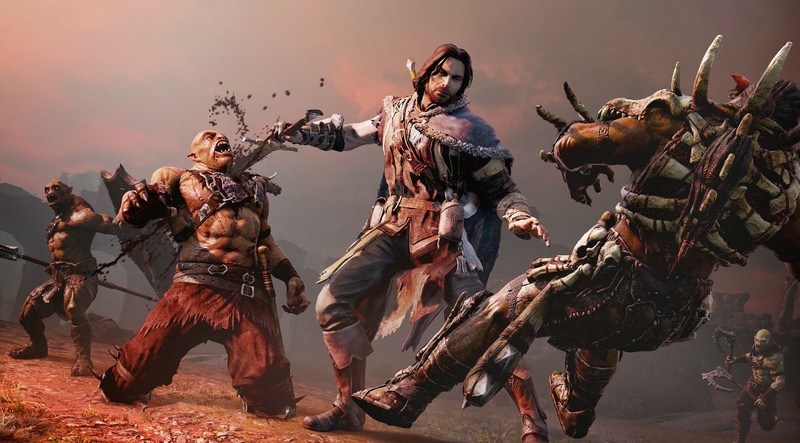 In Shadow of Mordor, you play as Talion, a ranger of Gondor. You and your family are killed by Sauron in a ritual to summon the spirit of Celebrimbor, the elf who forged the rings of power. Celebrimbor's wraith possesses the body of Talion, resurrecting him (at least in part). 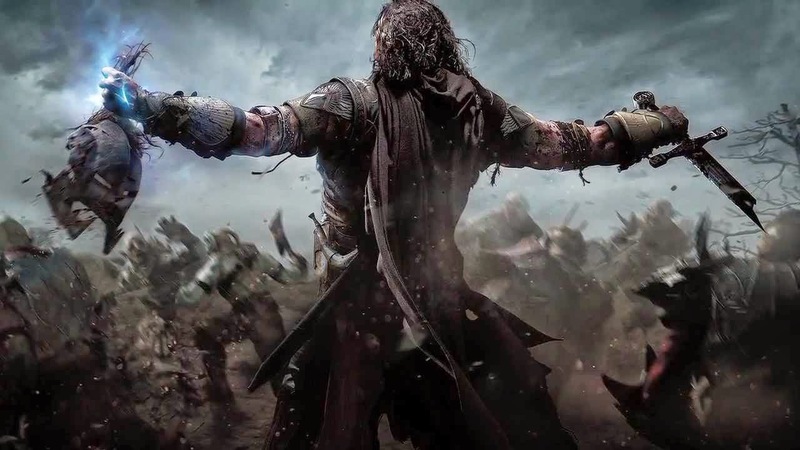 With the promise of revenge, Celebrimbor empowers Talion to turn Sauron's armies against him. Beyond that, very little else has been revealed about the story, but it's been written and directed by Christian Cantamessa, one of the writers of Red Dead Redemption and John Gonzalez, the lead writer of Fallout: New Vegas. These credits give me hope that the story won't tweak with the canon of the existing lore too much. What I played didn't showcase the story. Instead, it focused on the way the Nemesis System interacts with the game world. I was dropped into the middle of the game, Talion already leveled up with some of the higher end abilities. Starting in the Sea of Núrnen, I was tasked with dominating the mind of a Warchief to take control of his armies. The exterior of the game bears so much resemblance to Assassin's Creed, I felt pretty confident about my chances. With little hesitation, I picked out a plump Warchief and off I went to topple him. First off, I decided to take control of one of his bodyguards and captains. I dominated a caragor and took off across the plateaus toward the stronghold. Once within its walls, I came to a grim realization. As a human among orcs, my standard Assassin's Creed tactics wouldn't do me much good. Every living thing was a potential enemy. Spending much time on the ground or brazenly out in the open would attract a lot of attention from the orcs and uruk nearby. I was easily outnumbered on my first attempt and was forced to flee from my target and at least two other captains. On my second attempt, I was slain by a nameless orc. As I waited to respawn, I watched the Nemesis System play out in spectacular fashion. The orc who killed me was promoted to captain. He then set out to kill a rival captain, sparking a power struggle that rippled out to numerous others. I was informed that those orcs who survived the power struggles increase in power and become more difficult to kill or dominate. Great news for Orc society; not so much for me. Before blindly storming the stronghold again, I took a closer look at my target. The army and intel screen gave me a wealth of information about my target, listing weaknesses, fears and strengths. Trying to find something I could use to my advantage, I focused on his fear of caragors. By taking out some of his minions around the stronghold, I was able to lure him out into the open. Once there, I attracted the attention of some nearby caragors to weaken his resolve a bit. When I finally felt the odds had tipped in my favor I jumped into the fray and cut a swath to my target. The combat in Shadow of Mordor was beautiful. Fluid, responsive and finely tuned, I'd liken it less to the oft mentioned Assassin's Creed and more like Arkham City, with numerous powerful techniques and moves made available through combo chains. With so many moves and possibilities, my hour of play didn't leave much room to master the combat system. When things were going well, and my timing was precise, it was an exceptionally empowering feeling. When I was overwhelmed by enemies and out of tricks, it was no less exceptional but far more intimidating. Graug riding: One of many ways to get from A to B in Shadow of Mordor. Through much pain and perseverance, I did manage to dominate the captain. I sent him to betray his master and followed to lend aid to my new friend where possible. From a watchtower, I spied the confrontation. My orc attacked the warchief but his two bodyguards gave my little pal quite the beating. He was killed before I could assist and I was left in the middle of a battle with a very powerful warchief. As I fought, more and more captains seemed to show up. Every corner I rounded, every wall I vaulted brought me right into the snarling face of another captain. At final count, seven captains fought with the warchief. I dropped into cover and fled from the fight when I could, hoping for a solid shot at one of the weaker captains. Twice I came close to one only to be spotted by another. The orcs were far more aware of the environment than I had expected. What was more unsettling; some of them seemed to remember me. One of the captains that was present for a prior assault commented on the caragor I had ridden in that encounter. Another remembered being thrown into a fire and promised the same pain to me. See that terrified guy in the back? He'll remember you if he makes it out alive. In the end I accidentally killed the warchief I had sought to dominate. After killing the last captain in tow, I let loose on him. As his health ticked lower and lower I watched for the icon on his head to turn green. Just as it did (indicating that he was vulnerable to being taken over) a nearby orc fired an arrow at me. It struck the warchief and killed him. I lost my prize, and so ended my demo. 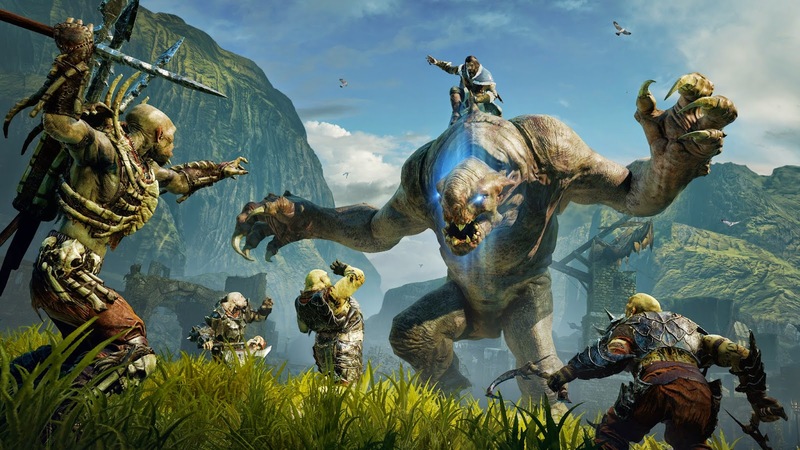 Shadow of Mordor was far more intricate a game than I had anticipated. The Nemesis system seemed well filled out, and interacted very organically with the game world. The orcs I encountered felt more alive than many other game's enemies. The combat was immaculate and challenging. What I played felt massive, but wa only a piece of the finished game. Shadow of Mordor willl be released on September 30th for PS4, PC and XBox One, with 360 and PS3 versions releasing on November 18th.